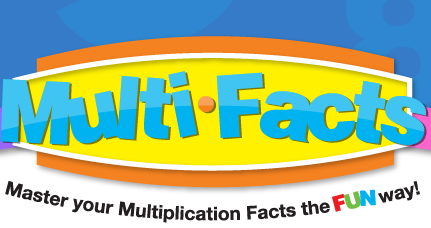 Welcome to the multiplication facts called the "Basics". 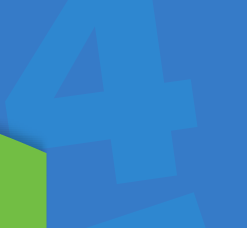 The 2's, 3's, 4's, and 5's are called the "Basics" because they are the core facts that all students must master. 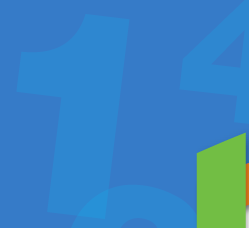 Some of the multiplication factors are trickier than others, but with Multi-Facts and some practice, every student can master the "Basics" easily. Why is this so hard for some students? Students and teachers must recognize that learning the multiplication facts is a memorization task. It does not reflect a person's math ability. Learn more. Go ahead. You know you want to. Share us with your facebook friends. If this is not something tweet worthy, then we don't know what is. How can you not share this? The Google +1 button lets you recommend this page on the Super Genius Teaching website to Google search and other Google users. The Multi-Facts iPad App is LIVE on the iTunes App Store. If you have a child and an iPad, go get the App!! If you don't have an iPad, what are you waiting for? Multi-Facts puzzles have similar rules to the popular Sudoku puzzles. 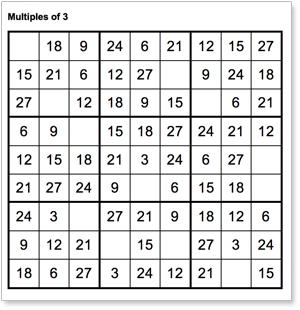 If you are unfamiliar with Sudoku puzzles, all you need to understand Multi-Facts puzzles is one definition and three basic rules. Get more info.